The private company “Mars One” plans on colonizing Mars and first step of this mission is to send four selected people on a one-way trip to Mars in 2025 on a $6 billion budget. Neil deGrasse Tyson, well-known astrophysicist and also host of StarTalkTV, is not signing up for the Mars One trip. Mars One made headlines in February when it publicized the top 100 applicants for the trip, but its business structure and timeline for the mission are not the best. Neil deGrasse Tyson told Business Insider "I try not to get in anybody's way who is dreaming big. But I'm skeptical that it can be accomplished on the timescale that they say." Several scientists, astronauts, and other people are pushing for a Mars mission. Neil deGrasse Tyson had a great clarification for why we want to get there so badly, and why we're not prepared for this kind of mission yet. 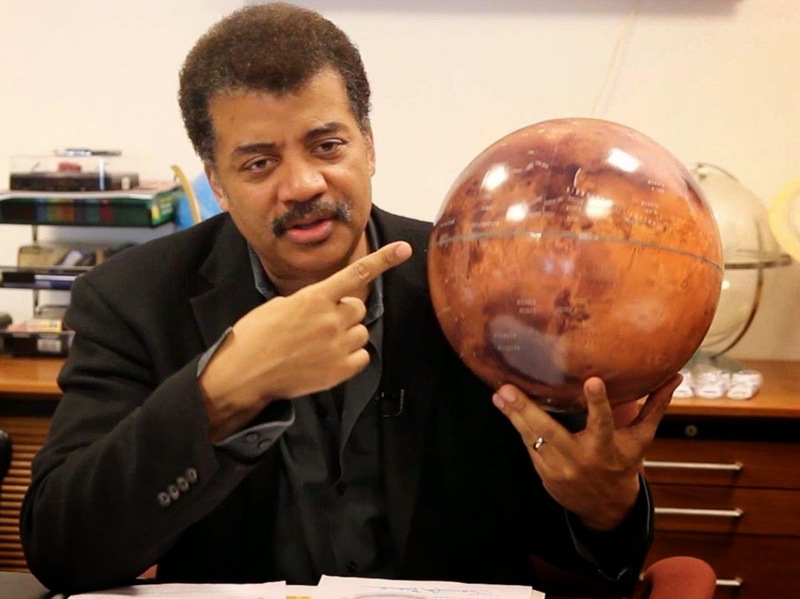 Neil deGrasse Tyson said"My sense is that there is an urge to create the same kind of pioneering spirit as what existed in the 17th century when the pilgrims came to Plymouth Rock,"
The main problem is that there's a big difference between the first Europeans who journeyed to America and the first human beings that would travel to Mars. Even though the travelers knew they were also on a one-way journey, when they stepped off the ship they could still breathe the air and the trees were still made of wood so they could rebuild their ship, Neil deGrasse Tyson said in a discussion in his office at the American Museum of Natural History. But if you are on a Marian surface you can't breathe the air at all and you can't just repair your ship — the very first thing you’re going to do is arrange and set up a hab module that resembles Earth. Tyson said. "Well then are you really on Mars? No — you’re on Earth on Mars." For whatsoever reason Mars One desires to construct camp on Mars, Neil deGrasse Tyson said their present business model doesn't look maintainable. Mars One is planning on paying for the mission through sponsors and a reality TV show featuring the colonizers, but it's having difficulty in getting much investment attention. Up to now the company has raised hardly over 0.01% of its $6 billion budget. Is it unsafe? Well, yes. What's my return on investment? Nil. So Tyson said he won't be signing up for the one-way journey to Mars. "But I'm not going to stop them," Neil deGrasse Tyson said. "Somebody's gotta go and do this first you know."